Overlooking Kalakaua Avenue on the third floor of Royal Hawaiian Center, Tim Ho Wan Waikiki celebrates its first anniversary in Waikiki with a grand rollout of exciting new menu items. True to its affordable yet high-quality roots, Tim Ho Wan Waikiki offers dishes with a range in flavor and ingredients. This Hawaii-exclusive menu item comes with two fresh pieces of the famous abalone from Hawaii’s Big Island. The lobster with “the best price in Waikiki” is full of umami, flavored with Tim Ho Wan’s signature homemade soy sauce and topped with green onions and ginger. The whole lobster is cut in half, making it easy for guests to enjoy the meal without much fuss. Featuring the hot rice rolls sautéed with vegetables in XO sauce, a homemade spicy sauce prepared with dried scallop. The beloved Fried Noodles is now available with char siu. Vegetarian-friendly, the vegetable dumpling features enoki, celery, carrot, Chinese peas, and Wood Ear mushrooms. This delicious dumpling comes with a side of Red Vinegar and julienne ginger. Spicy yet flavorful, the won ton takes the dim sum line up to the next level. Jin Dui lovers rejoice! These bite-size sesame balls are ideal for dessert. From Monday, April 22, through Friday, April 26, Tim Ho Wan will offer a special lai see red envelope to the first 20 customers (per day) that mention “Happy Birthday, Tim Ho Wan!” to servers. Each lai see envelope will contain a $20 gift card, along with offers of free BBQ Pork Buns, free Hong Kong Style Milk Tea, and free dessert. Offers are for dine-in customers only. 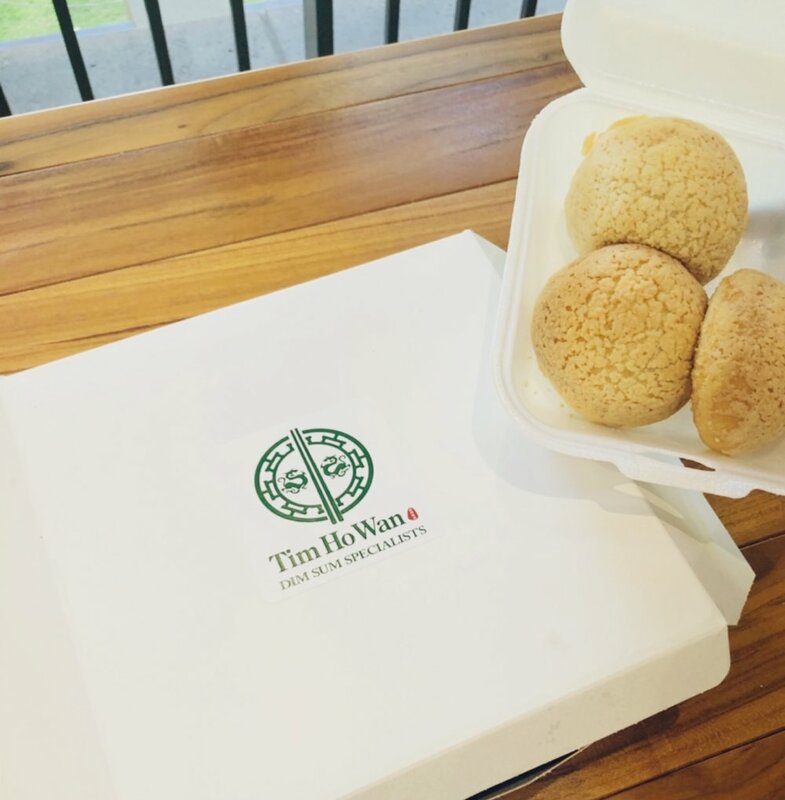 Tim Ho Wan Waikiki features exclusive dishes like Steamed Kona Abalone, Steamed Maine Lobster, Pan Fried Black Rice Mochi with Pineapple, and Rainbow Mango Slush. Originally from Hong Kong, with over 45 locations across Southeast Asia including Macau, Taiwan, Singapore and Japan, as well as Australia, and most recently in the U.S. with two locations in New York (East Village and Hell’s Kitchen), Las Vegas, Nevada, Irvine and Los Angles, California, and Honolulu, Hawaii. A romantic evening should include a spectacular view, an amazing meal, and a fantastic date (that’s not going to break the bank). Bonus points for finding a hot, new spot in town that features all of the above. Enter Deck. at Queen Kapiʻolani Hotel which features a three-course meal exclusively for dinner on Valentine’s Day. On the most romantic holiday of the year, Deck. offers three-course prix fixe ($60 per guest) along with an optional wine pairing ($25). The Valentine’s Day course menu will be available from 4:00 PM to close; reservations are encouraged. A regular ala carte menu will not be available on Valentine’s Day, however, dishes from the prix fixe menu will be available to order ala carte. There will also be no Happy Hour at Deck. Those seeking Happy Hour are encouraged to enjoy happy hour at Knot’s Coffee Roasters, which will be extend its Happy Hour time from 2:00 PM – 6:00 PM. Deck's Valentine Special can be booked by phone (808) 931-4488, or online at www.deckwaikiki.com. The al fresco seating, laidback yet luxurious ambiance at Deck. is made perfect with its gorgeous view of Diamond Head. The menu features locally sourced, fresh island ingredients that make up a modern American concept inspired by Hawaiian flavors. Featured local farmers and vendors including Ka Lei Foods, Ho Farms, and Otsuji Farm provide high quality ingredients grown in Hawaii. 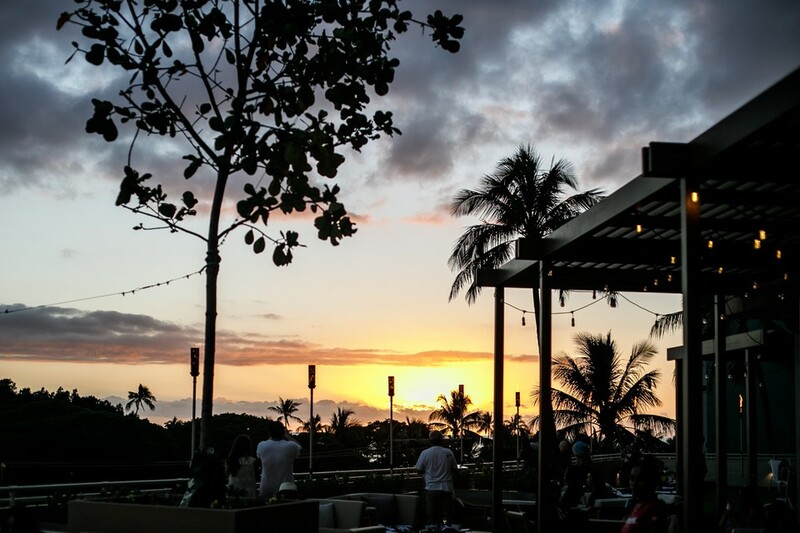 Located in the recently renovated Queen Kapiolani Hotel, the restaurant also features live performances by local musicians and DJs. The bar showcases an adventurous mix of craft cocktails, beer, and wine in a popular Happy Hour. For reservations, please call (808) 922 - 1150. Minori Craft Japanese Tavern will officially open for business on Friday, February 1, 2019. Located at the former Tsukada Nojo space along Kalakaua Avenue (near the Hawaii Convention Center), the Japanese izakaya (tavern) is sure to be a hit with locals, convention-goers, and visitors. For a limited time only, Tim Ho Wan Waikiki will be kicking off Early Bird Special! January 14th to the 31st, from 10:00 am - 11:30 am, customers can enjoy a free Congee (rice porridge) with a purchase of any three menu items! Minori Craft Japanese Tavern will be open for (some) business as of Tuesday, January 8, 2019. Located at the former Tsukada Nojo space along Kalakaua Avenue (near the Hawaii Convention Center), the restaurant itself is slated to officially open in February. If this all feels a bit déjà vu, it’s because Minori rolled out a Pre-Opening holiday menu during the month of December with reservations-only based dinner parties and bento lunches. Starting this month, however, Minori will offer an expanded menu and begin accepting walk-in and reservation-based guests during its dinner hours. The soft opening dinner menu includes standard Japanese izakaya-style fare such as chawanmushi (savory egg custard), sashimi, tempura, as well as a variety of charcoal-grilled options. There are also a range of creatively named menu items such as the “Meli Melo Chicken” (flambé-style chicken), “Japonica Roll” (sushi), and “Kale Namuru” (Korean-style marinated kale). For Tsukada Nojo fans, there’s also good news: Minori will continue to offer the “Beautifying Hot Pot” that won a Hale Aina award for Best Hot Pot, along with their popular White Bear and Matcha (green tea) Flan desserts. The soft opening hours of operation will be limited to dinner from 5:00 PM – 12:00 AM, Tuesday through Sunday. The restaurant will be closed on Monday. Happy Hour times are 5:00 – 6:00 PM, and 10:00 PM – 12:00 AM. Walk-ins without reservations are welcome. Newest addition to the menu at Tim Ho Wan Waikiki is the Steamed Maine Lobster. For just $29.99, you can enjoy a whole lobster! Best lobster in Waikiki! Imagine making a quick morning pit stop for coffee (and a south swell check) before heading in to work for the day. Alternately, imagine finally finding a home for those weekend book club gatherings or, perhaps, a final destination for pau hana walks in the neighborhood—the possibilities are endless. Also endless are the cups of coffee offered in Knots Coffee Roasters’ new Knots Free Flow Coffee Club. In what is certain to establish a steady flow of regulars at the chic little coffee bar in the lobby of Queen Kapiolani Hotel, Knots Coffee Roasters’ Free Flow Coffee Club is a coffee lovers’ dream. With the purchase of a favorite 12oz tumbler along with a monthly subscription of $35, Knots Coffee Roasters’ Free Flow Coffee Club offers subscribers unlimited drip coffee, latte, ice coffee, black tea, or regular iced tea. Members will receive a Knots Membership Card which will be necessary along with the purchased tumbler to obtain an order. Need more reasons to become a Knots Free Flow Coffee Club? Know that becoming a member helps pay it forward. Knots Coffee Roasters strives to do its part in the larger sustainability and waste reduction efforts of the Hawaii community. “We felt that it was essential to encourage our regulars to take part of a program that rewards the use of tumblers by making it as easy as possible to do so,” says Marketing Manager Sharilyn Kazunaga. In addition, the coffee bar will donate 3% of total membership fees to the Honolulu Zoological Society, a 501-C3 non-profit organization that supports the Honolulu Zoo “in its mission to inspire the stewardship of our living world by providing meaningful experiences” as a part of many community outreach efforts. Located park-view in the living room of the fabulous new Queen Kapiolani Hotel, Knots Coffee Roasters comes to Waikiki as an innovative purveyor of unique coffee and tea creations. The coffee bar features the La Marzocco FB80 for espresso drinks, and the house coffee is brewed on a G4 Wilbur Curtis brewer; individual cups of coffee are made via glass Chemex brewers. The healthy yet hearty Grab & Go offerings are ideal for trips to Waikiki Beach or Kapiolani Park while the beer and wine selection are ideal apres surf. The Queen Kapiolani bar is the first location outside of Tokyo. Deck is celebrating the holidays with a special menu! The al fresco seating, laidback yet luxurious ambiance at Deck. is made perfect with its gorgeous view of Diamond Head. The menu features locally sourced, fresh island ingredients that make up a modern American concept inspired by Hawaiian flavors. Marathon finishers: Celebrate your victory with $1 beer and $1 coffee at Deck. Bar & Grill! Marathon finishers: Celebrate your victory with $1 beer and $1 coffee at Knots Coffee Roasters Hawaii! Celebrate your victory and reward yourself with a well deserved ice cold beer at Deck. or a coffee for just $1.00 at Knots Coffee Roasters. Many will scratch their heads at the mention of MINORI Craft Japanese Tavern, but rest assure, it will be one of the places to go this holiday season. Located at the former Tsukada Nojo space along Kalakaua Avenue (near the Hawaii Convention Center), the restaurant itself is slated to open in February of 2019. In the meantime, starting December 5 through 30, 2018, MINORI will host a month of reservations-only holiday parties and dinner as well as bento orders to-go—perfect for those that love to try the newest spot in town. 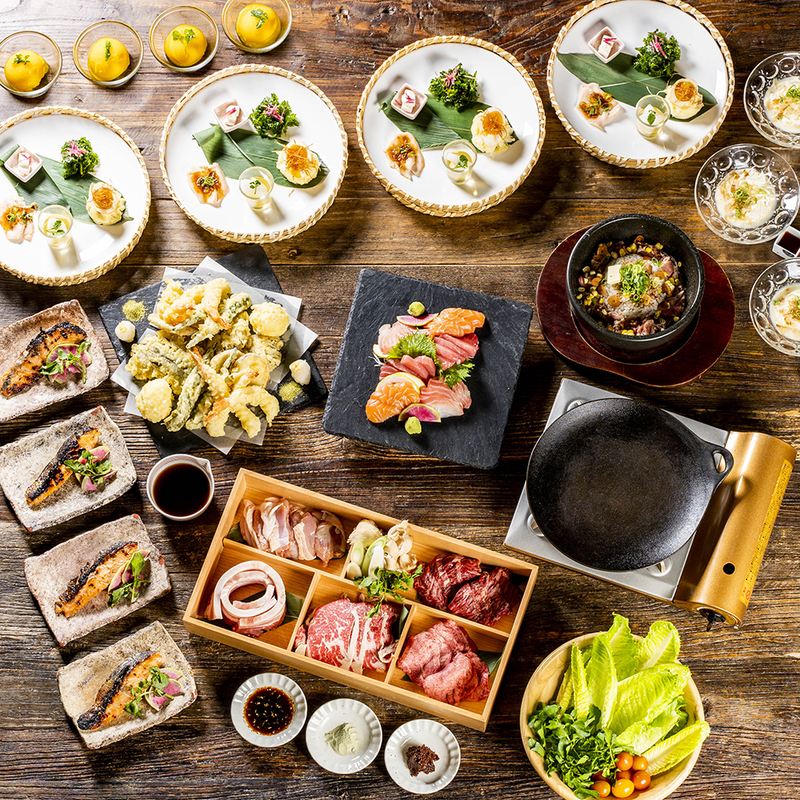 Celebrate the season Japanese-style with two distinct Holiday Party Courses offered: The Nabe Party and the Yakiniku Party. Ideal for parties of four or more, the Holiday Party Courses are not about ordering one of everything off of an extensive menu; it’s about sharing the same set of food, family style and enjoying the company of friends and family. For smaller portions and those that prefer more options, Teishoku lunch sets will also be available starting at $15.80. The entrée options offered are a preview of what will be featured on the grand menu after the restaurant’s official opening. All teishoku will come with two choices of mains along with rice, miso soup, chawanmushi (egg custard), appetizers, and tsukemono. For casual (and highly convenient) lunch option, MINORI will also offer takeout bento that start at $9.80 for one choice and $13.80 for two choices. All bento options will come with rice, appetizers, and tsukemono. Orders for pick up or takeout should be placed at least 24 hours in advance. Deck. Waikiki has crafted a deliciously unique Thanksgiving menu featuring all the holiday favorites plus a few island delights that will make your Thanksgiving meal one to remember. Kulu Kulu will present a $5 coupon for each purchase over $10 (without tax) during the week of October 25, through October 31. The coupons are valid from November 1, through December 18, and are valid towards pre-orders for Christmas cakes. Pre-orders will begin Wednesday, November 1. Get the ultimate VIP experience at Festa Italiana with a VIP Experience Passporto Italiano! Inspired by the authentic flavors of Taormina, a seaside village in Sicily, Taormina Sicilian Cuisine serves the timeless cuisine of Southern Sicily with contemporary style and fair. See you at this year's Festa Italiana! Appetito Craft Pizza & Wine Bar at Festa Italiana! Appetite Craft Pizza & Wine Bar will be participating in Festa Italiana this year! Please come and join us to celebrate KCC Farmers Market fifteenth year on October 6, Saturday 7:30am- 11:00am. Chef’s Special, Milk Tea Promo, and $50 giveaway are available now through October 31. Taormina Sicilian Cuisine is participating in 10th Annual The Good Table this year! The Good Table is an island-wide one night-only event to benefit Lanakila Meals on Wheels. All proceeds from the purchased tables support to provide meals for Hawaii's elderly in need. Appetito Craft Pizza & Wine Bar is participating in 10th Annual The Good Table this year! The Good Table is an island-wide one night-only event to benefit Lanakila Meals on Wheels. All proceeds from the purchased tables support to provide meals for Hawaii's elderly in need.